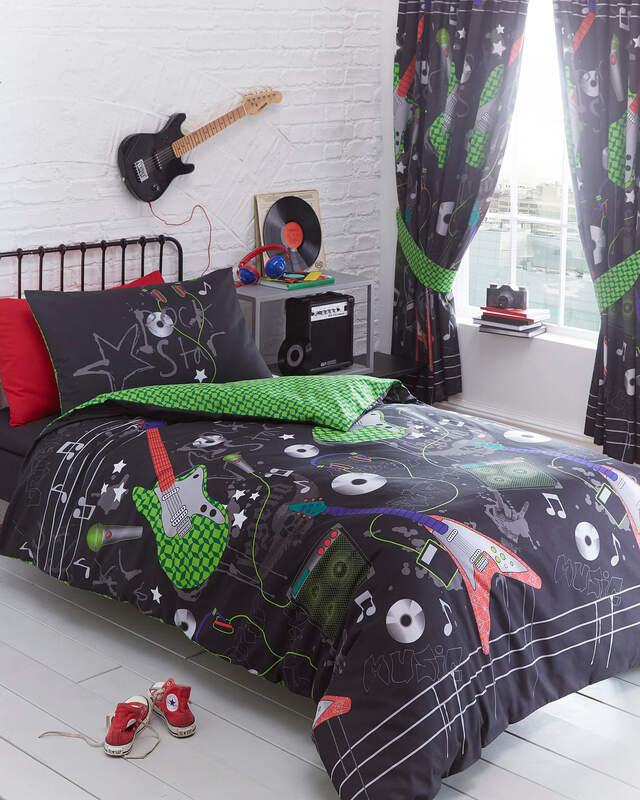 Guitar Rock Design Duvet Cover Set. Single. 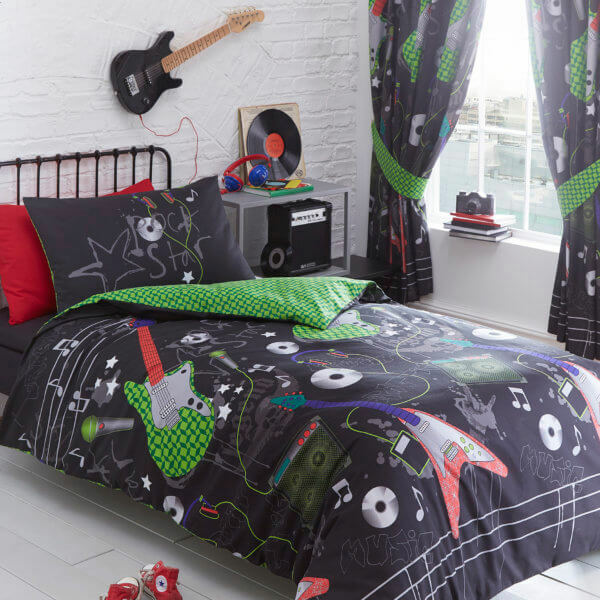 Also Available in Double & King Size. Matching Curtains Available. Bright Reverse Design.